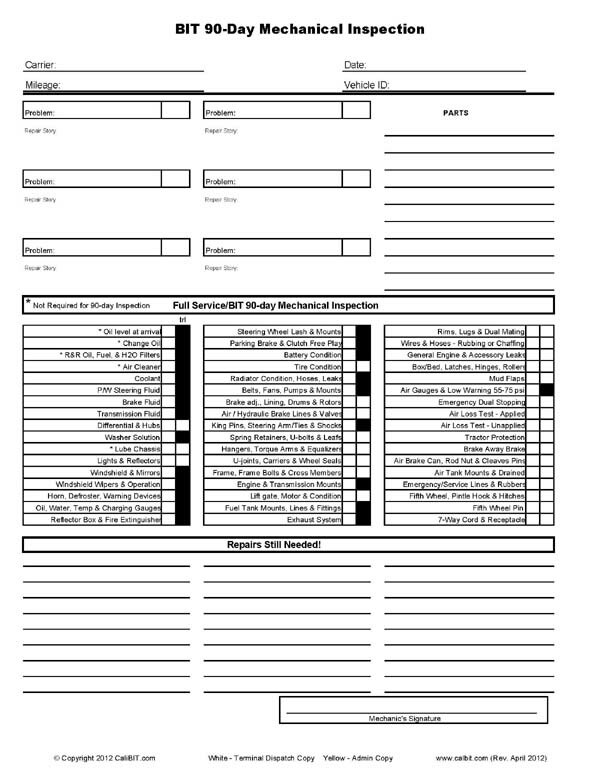 Ferderal law requires Vehicle ID, Date of inspection, and address of where the inspection form will be filed. When you do a 90-day mechaical inspection you are also doing a DOT federal annual inspection--they are one in-the same! Just add a sticker to a 90-day and it is a federal annual. 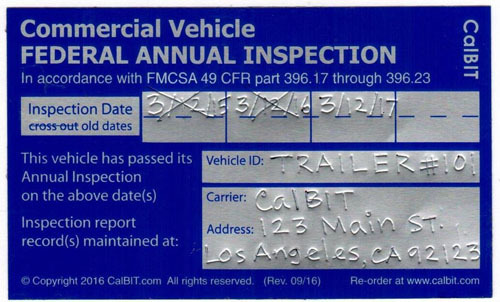 Intrastate carries are not required to to perform Federal DOT Annual Vehicle Inspections. er Interstate = You cross state lines with your vehicle, or your company is based out of state, or there is freight issue that could make you an Interstate carrier. As an Interstate carrier you are subject to the rules and regulations of the federal DOT as well as the rules and regulations of the state you operate in. ra Intrastate = You never crossing state lines and your company is based in your state that you operate in. As an Intrastate carrier you are mainly subject to the rules and regulations of your state as well as the rules and regulations of the Federal DOT when it applies to your operation as dictated by your state. A 90-day mechanical inspection can also be considered a annual inspection as long as you place or update the sticker/decale lable. 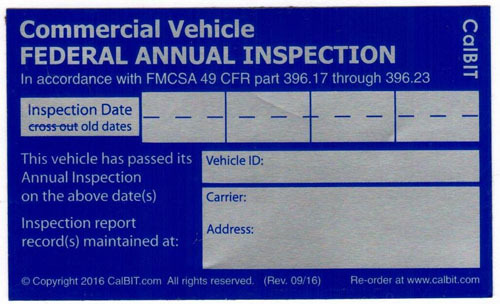 The form used for both annual inspection and 90-day mechanical inspection is one in the same; the sticker completes its as a DOT federal annual inspection.